El doctor distraído Mini-cuento #2. 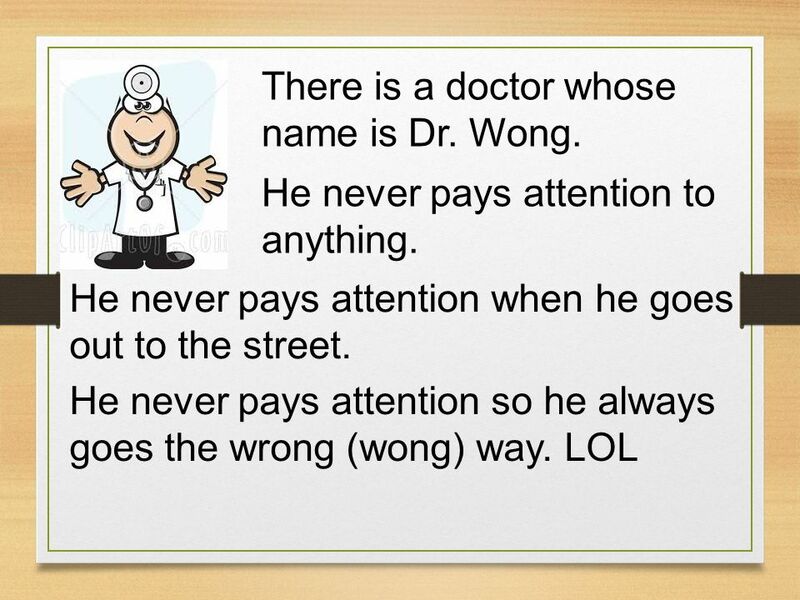 12 There is a doctor whose name is Dr. Wong. 13 One day he goes to the café to spend time with Silvia. Silvia is his girlfriend. 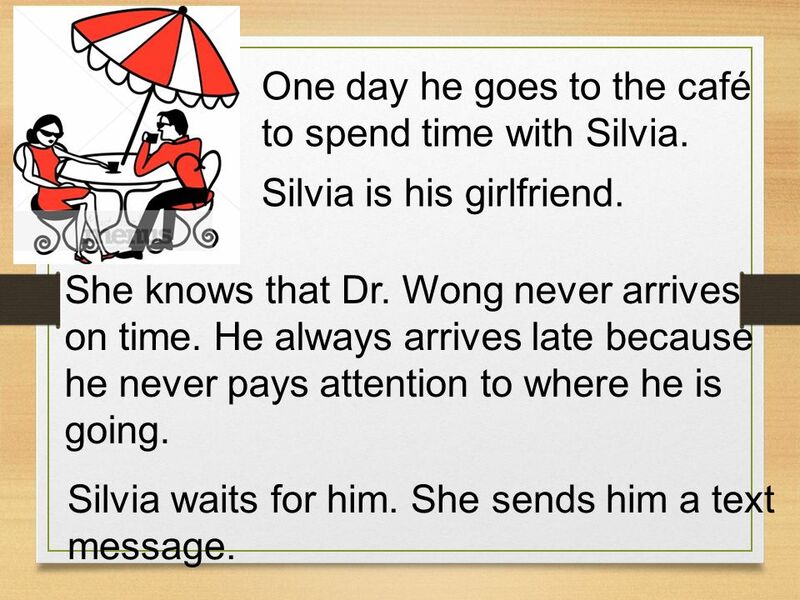 She knows that Dr. Wong never arrives on time. 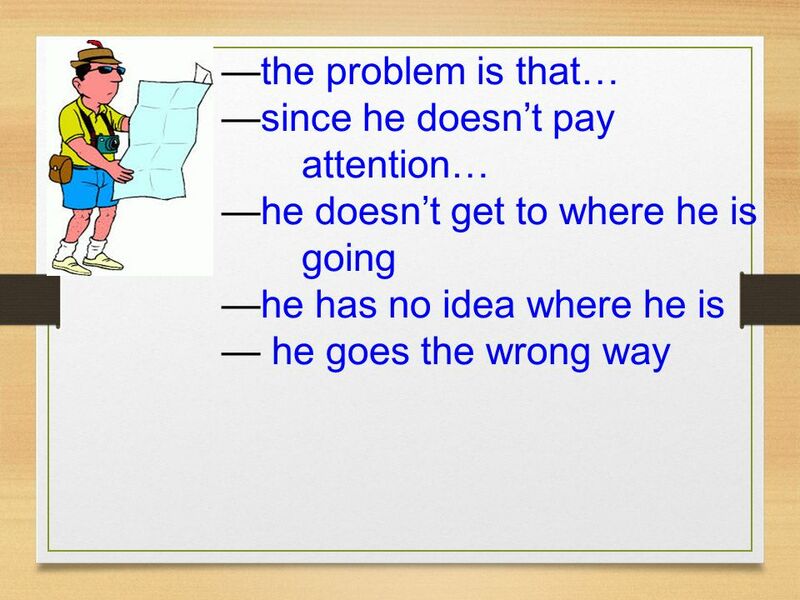 He always arrives late because he never pays attention to where he is going. 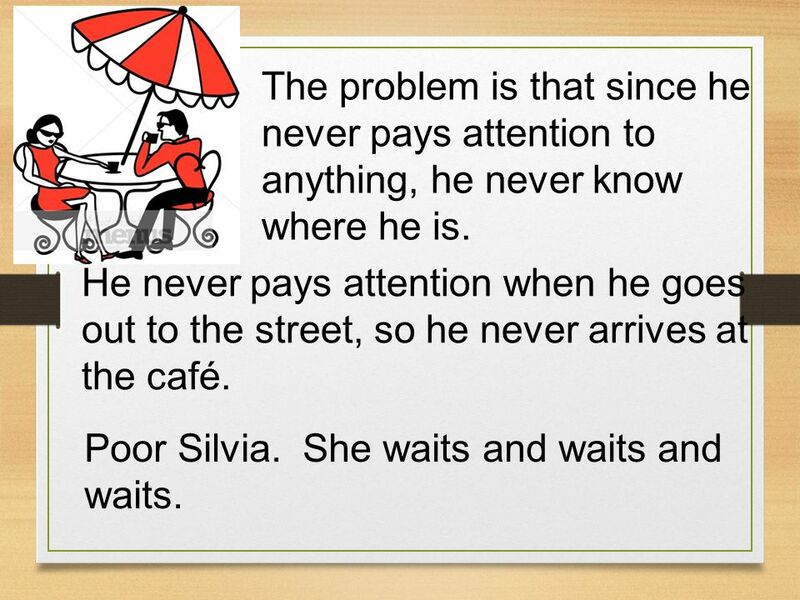 Silvia waits for him. She sends him a text message. 14 The problem is that since he never pays attention to anything, he never know where he is. 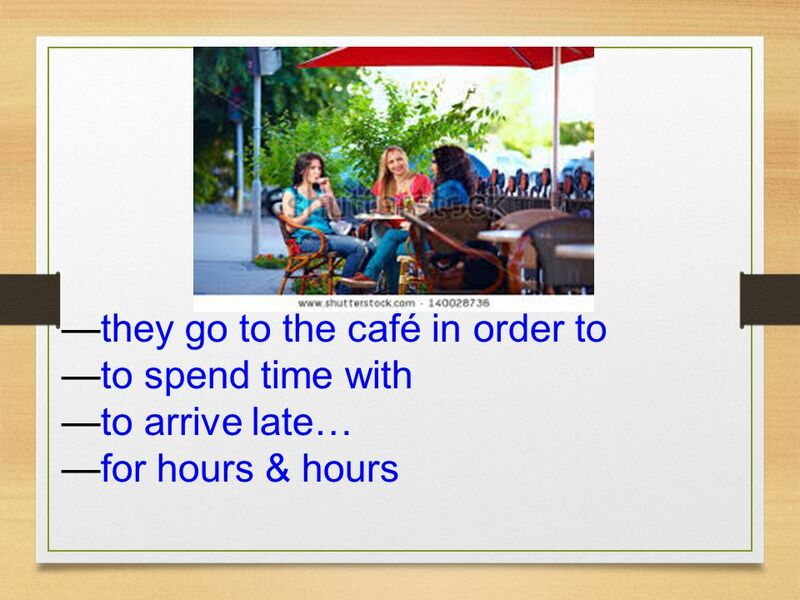 He never pays attention when he goes out to the street, so he never arrives at the café. Poor Silvia. She waits and waits and waits. 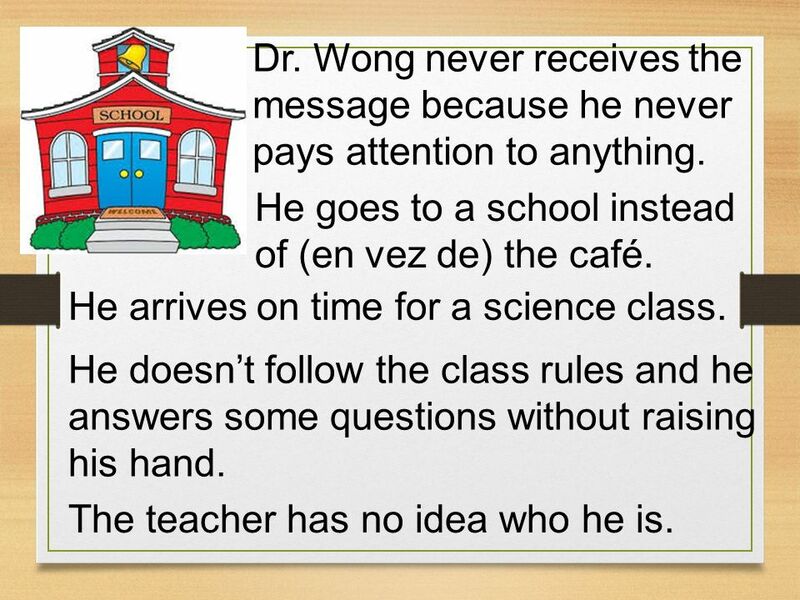 15 Dr. Wong never receives the message because he never pays attention to anything. 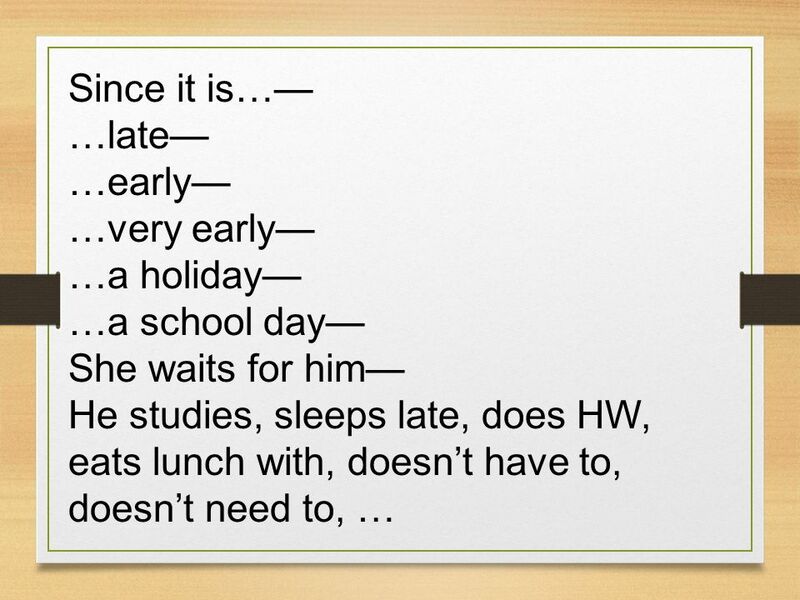 He goes to a school instead of (en vez de) the café. He arrives on time for a science class. He doesn’t follow the class rules and he answers some questions without raising his hand. The teacher has no idea who he is. 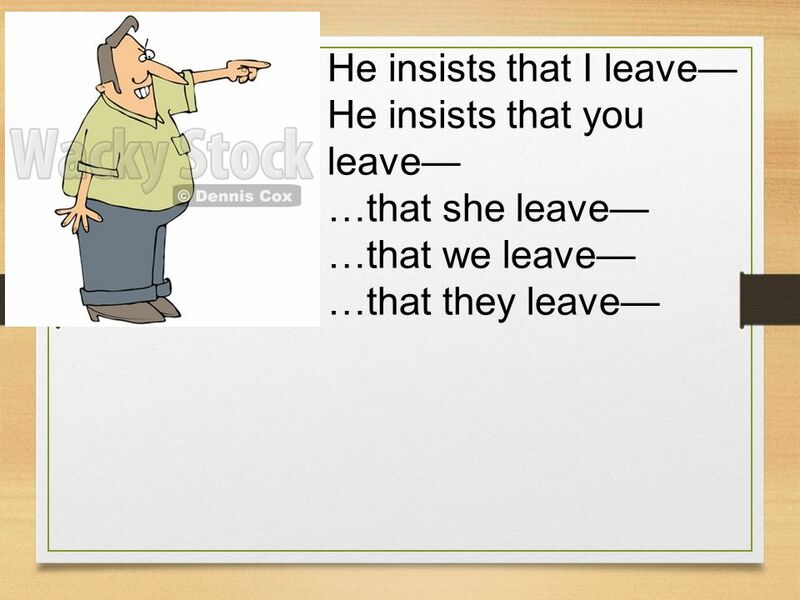 16 The teacher insists that he leave/go because he has no idea who the doctor is. 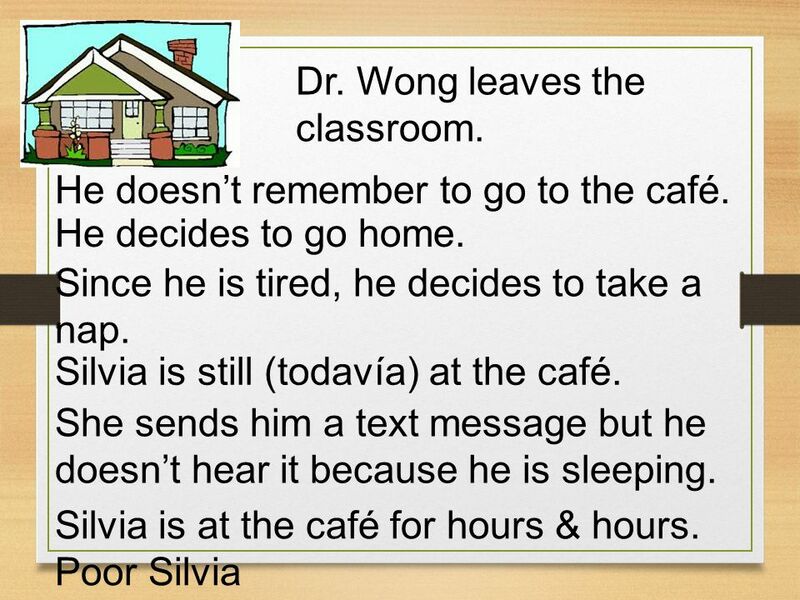 The teacher insists that he leave because he doesn’t understand why a doctor is in his classroom. 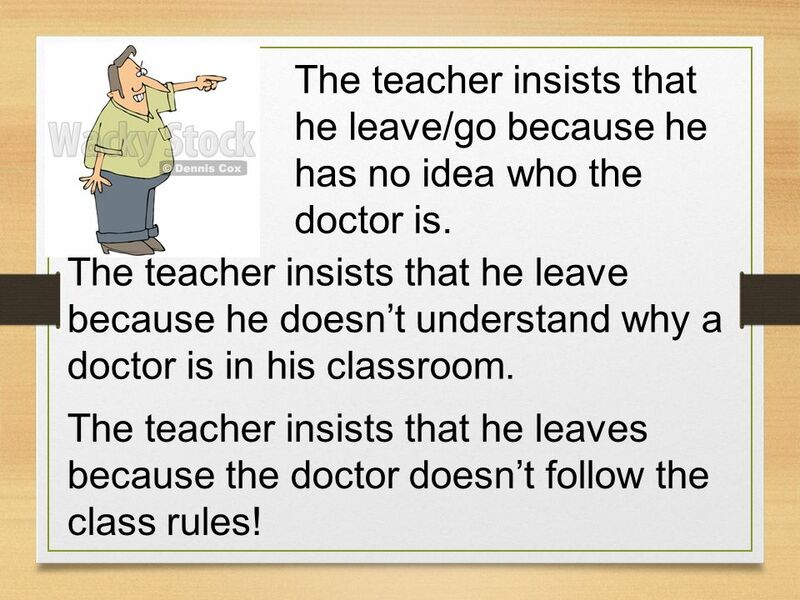 The teacher insists that he leaves because the doctor doesn’t follow the class rules! 17 Dr. Wong leaves the classroom. 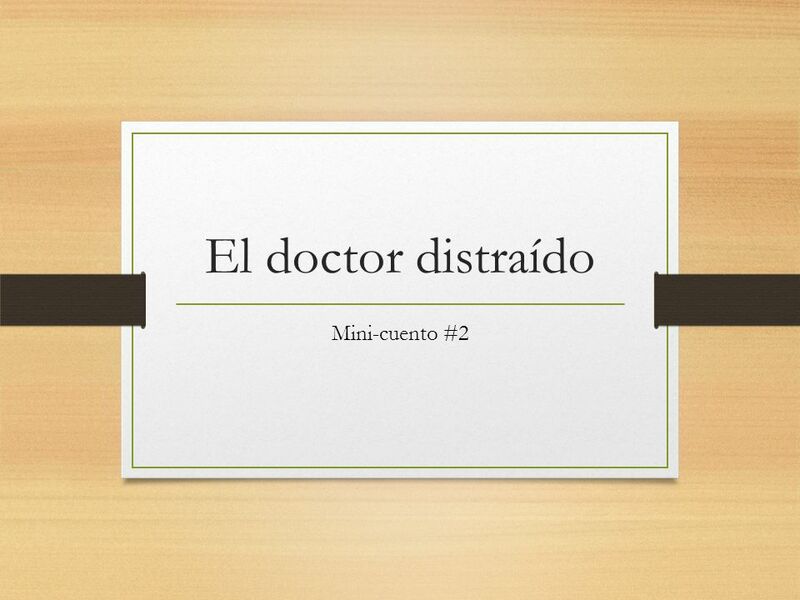 Download ppt "El doctor distraído Mini-cuento #2." Mi Día By Rebecca Emberley Me levanto en la mañana. El Pluscuamperfecto (el pasado perfecto). 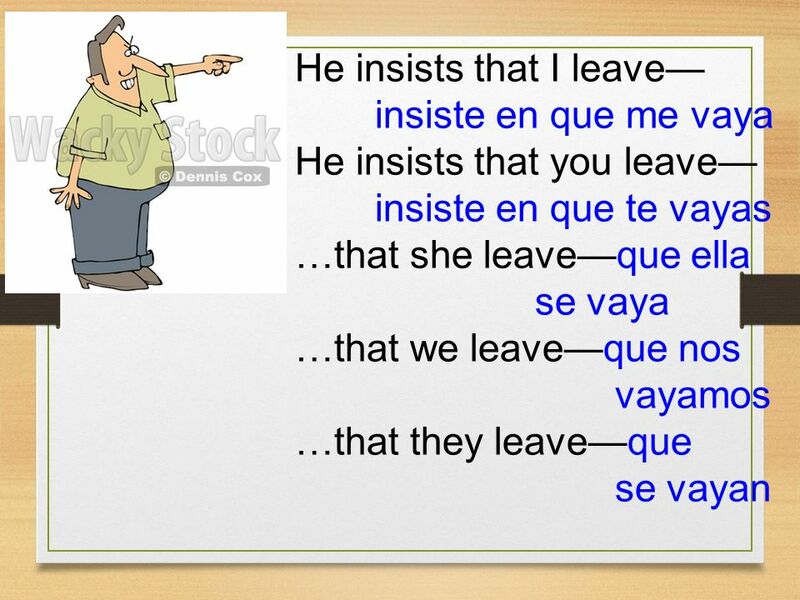 Subjunctive Review CP3 4.1 Verbs of Hope & Influence. 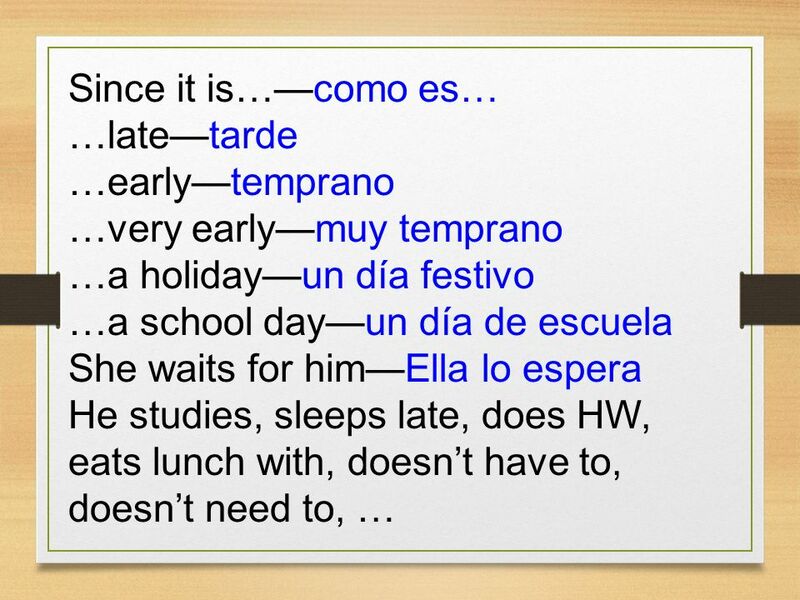 Quería comer = he/she wanted to eat Sabía = he/she knew Le dijo = he/she told him/her. Negation of nunca,tampoco,nadie,nada Annabell. 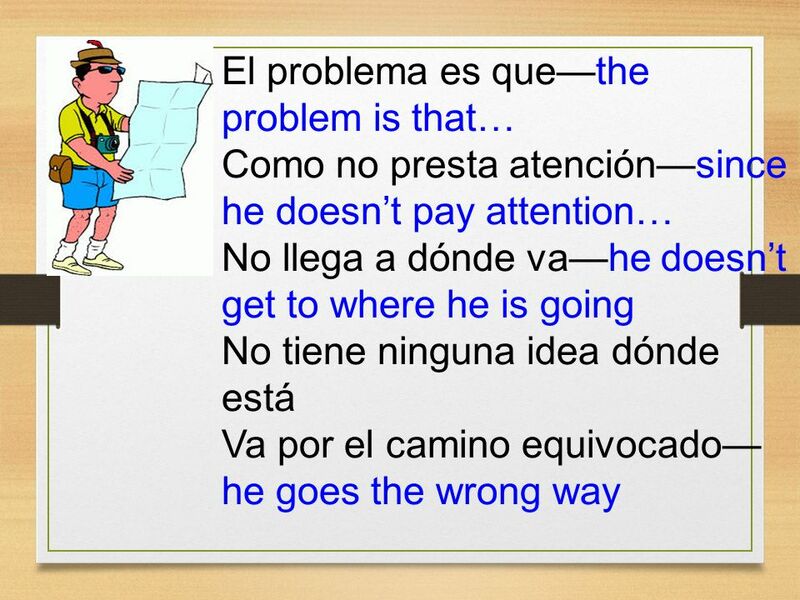 Nunca, Tampoco Nunca (never) and Tampoco(neither, not either) can be used in place of no or they can be. 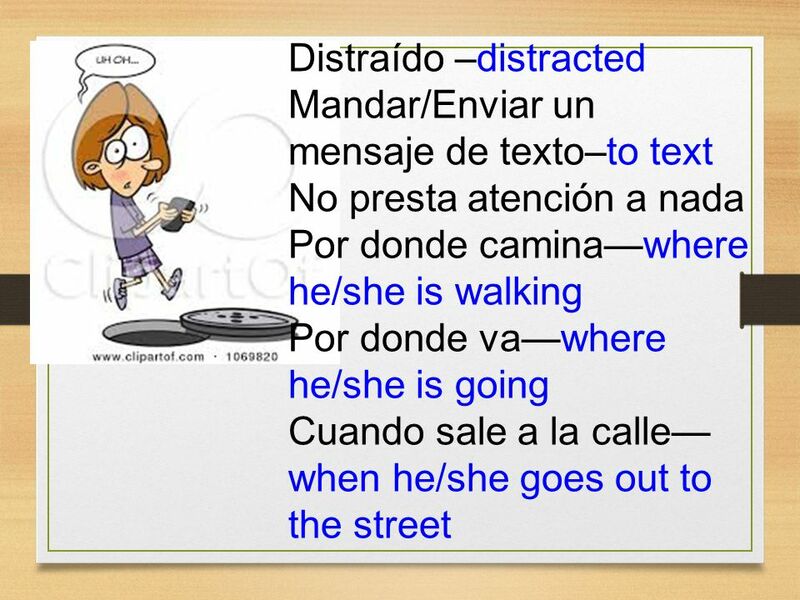 Direct Object Pronouns The Spanish Way. What are direct objects? 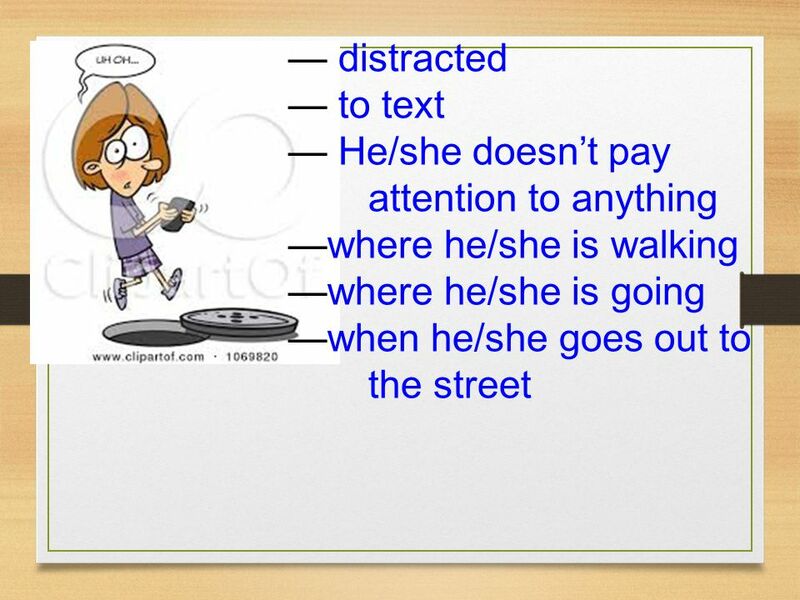 Direct objects receive the action of the verb. Examples – John sold the car. – Mark ate. TIENEN 5 MINUTOS Page 4 Unit 2, Section A, Day 2 Hoy es el _25____ de _febrero____ del __2013________ Objective : __I can read and understand Chapter 1. Vamos a hablar......de los iPods. You are going to have a conversation with your teacher about new technology and your free time. What could the teacher. Practicamos la SOFLA Esp Adv. 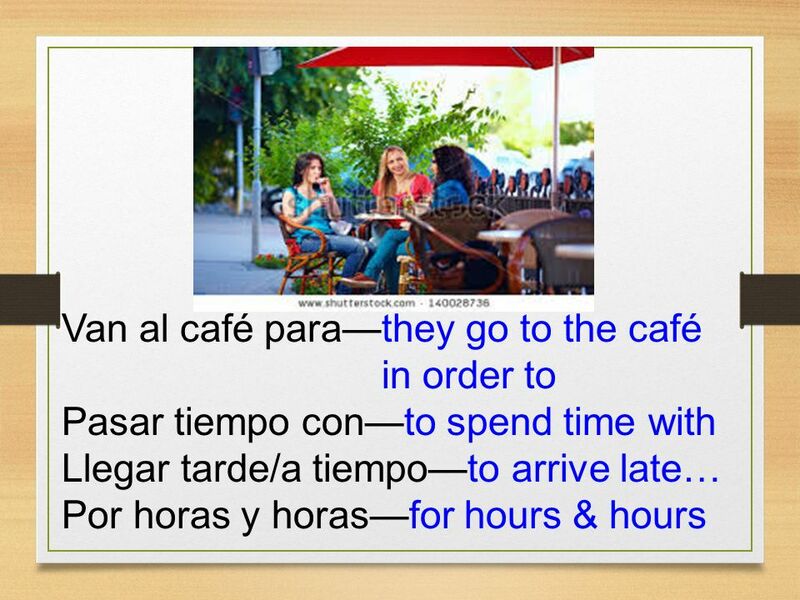 SOFLA Writing Exam – Tips and Tricks  You have one hour to answer four prompts which are written in English  You can answer.